U Ko Ni, left, with Daw Aung San Suu Kyi, center, and his wife in an undated photo. 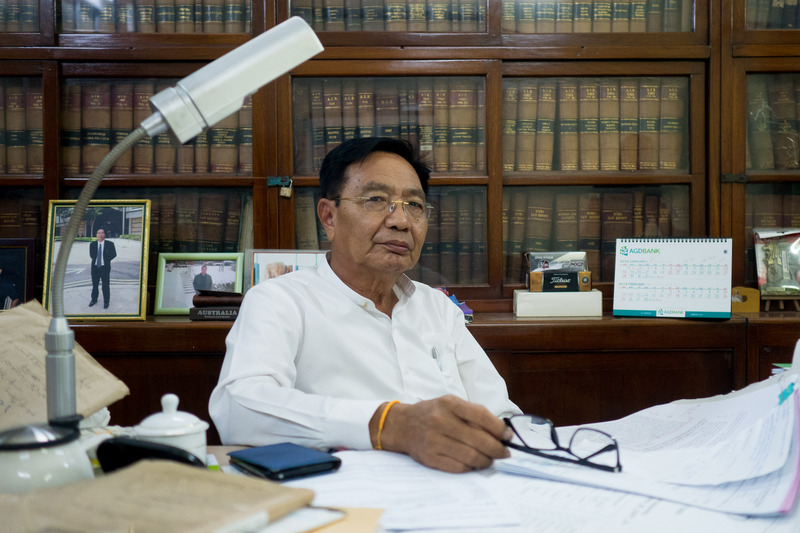 YANGON — U Ko Ni, the prominent Muslim lawyer who represented countless families and individuals for more than four decades, would have never imagined that he would become the center of a high-profile criminal case. He was shot at close range in broad daylight by a gunman on Jan. 29 last year and his death became one of the most talked about incidents in news. He was 63. The reason behind his assassination is still unclear, while Monday marks one year since the tragic event. The National League for Democracy (NLD) legal advisor was also a constitutional expert who had long lobbied for the drafting of a new national Constitution as the current charter was drafted by the military and criticized as undemocratic. Many speculated that his agitation for constitutional change was the reason he was killed. While the motive for the murder has never been satisfactorily explained, according to the minister for home affairs, it was a “personal grudge” on the part of the arrested suspects, who he said were “resentful” of U Ko Ni’s political activities. However, many suspect the involvement of more powerful people eager to put an end to the reform efforts of the prominent NLD lawyer. The Katha native came to Yangon in 1971 to study law at Yangon University. Born to a poor family that couldn’t afford to pay for his studies, he had to work for his tuition fees. He became a lawyer in 1976. 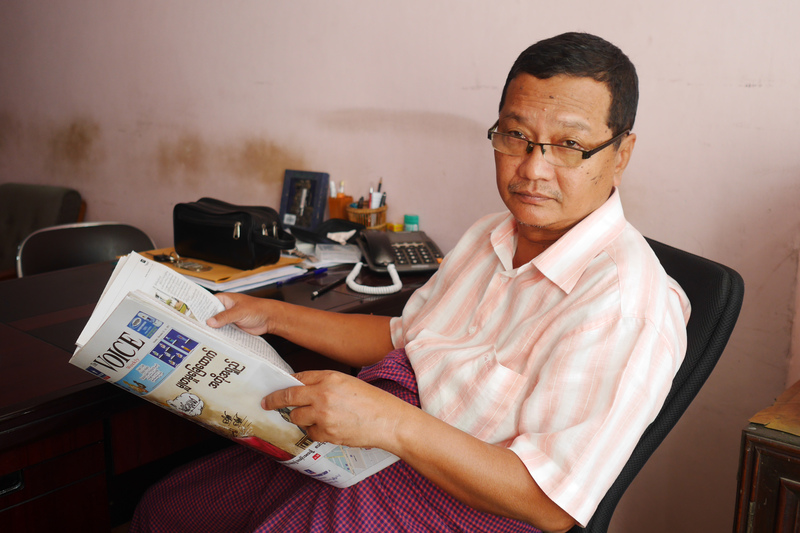 The author of several law-related books under the pseudonym Maung Ko Ni, he was praised by veteran Myanmar journalist and prominent author Maung Wuntha for constantly fighting injustice. He once wrote that U Ko Ni reminded him of Perry Mason, a fictional defense lawyer in the detective stories of best-selling American author Erle Stanley Gardner of the 20th century. The main difference between the two men would be their specializations—Perry Mason handled criminal trials and U Ko Ni mainly worked on civil suits, Maung Wuntha said. U Ko Ni is survived by his wife and three children. Ma Yin Nwe Khaing, 34, is the eldest one. Her last conversation with her late father U Ko Ni was about cherries. Ma Yin Nwe Khaing was at the Yangon International Airport to pick him up as he returned from Indonesia. Her uncle drove her to the airport and she brought her nephew with her. After her father exited the gate, he told her that he bought some cherries from Indonesia for his great-nephew that he would love, as they were not sour. “He has never eaten cherries before, has he?” her father asked her. Everything happened in an instant. Outside the terminal, she was talking to her uncle over the phone, saying that they were ready to get into the car. She heard a pop and saw her father fall onto the pavement, holding her nephew. As a doctor, her first instinct was that her father had an acute stroke. She didn’t think that the loud noise she heard was the gunfire that killed her father, even when she saw blood coming from his head. “I have never seen a gun or a shooting in my life, so I couldn’t relate these two things,” Ma Yin Nwe Khaing recounted why she didn’t recognize the sound of gunfire. The slender woman recalled her father’s murder a year ago as a “great shock” to her. Yet, she dealt with the incident calmly. “I quickly accepted that it was finished. Whoever did it, it was a reality that he was gone,” she said. “But someone just died and what next? How am I going to handle this case?” she shared how she was calming herself down right after her father was murdered. The death of her father was, she said, the loss of “everything” to her. “No words can describe such a loss. [A father] is irreplaceable. Everybody can understand this feeling, I believe,” she said. Like other Muslim children, Ma Yin Nwe Khaing addresses her father as “Papa.” She remembers that her father U Ko Ni always wore a serious face and never showed intimacy to his family. He never scolded or shouted at her or her siblings either, but they were afraid of him because of his seriousness. Working as an assistant lecturer at the Yangon University of Nursing, she feels thankful to U Ko Ni for being a supportive father throughout her career pursuit and never forcing any of his children’s decisions. She still remembers what he told her when she said she wanted to be a doctor. “He said there were two professions in which other people’s pressures become our own; doctor and lawyer. He told me he had no objection if I could deal with this for my entire life, but that I would be responsible for my choice,” she recalled. 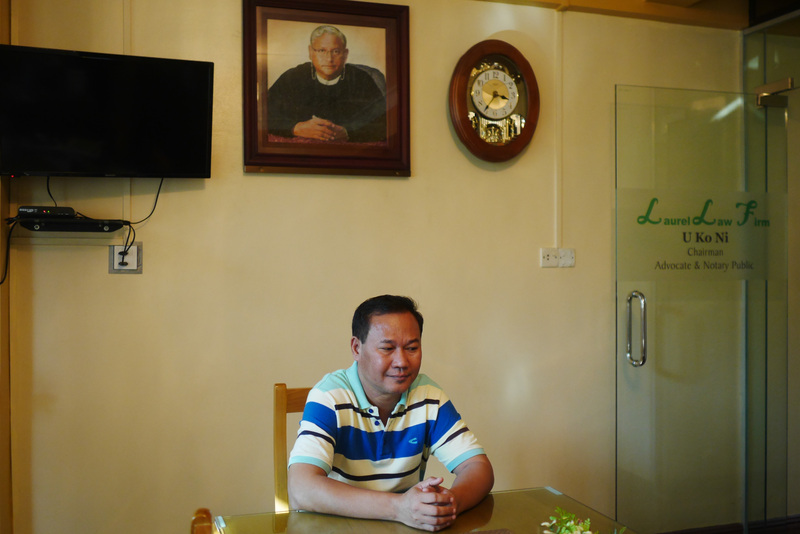 “He talked very little but trained us imperceptibly on how he wanted us to be,” Ma Yin Nwe Khaing said. “For me, he was a man of principles,” she added. Ko San Naing, U Ko Ni’s confidant for more than 20 years, shares Ma Yin Nwe Khaing’s loss. Ko San Naing first met U Ko Ni on Nov. 27, 1995, when he came to U Ko Ni to work at his law firm because he couldn’t focus on his studies after his mother passed away. Since that day, Ko San Naing never quit that job. To him, he said, U Ko Ni was a father figure. “He gave me parental love and treated me like his own son when I was hungry for that after my parents died,” Ko San Naing said. He devoted his time to U Ko Ni and the two became so close that he even consulted U Ko Ni for advice regarding his relationship. He once brought his girlfriend to U Ko Ni to introduce her. He still remembers how U Ko Ni’s face turned red when he failed his final year exam in university. “He said pointing at a stick, ‘if you fail again next year, I don’t even say this to my children—look at that! I will really hit you with that. I am serious,’” Ko San Naing said with a laugh. When he finally passed the exam, U Ko Ni held a celebration for him. Even though the two had known each other for 22 years, he said, they had never taken a picture together. The tall figure who was always seen wearing a pair of glasses on a chain was also the legal advisor to the country’s ruling National League for Democracy (NLD). Though U Ko Ni was a constant advocate for law enforcement and justice, justice has not been served for him even a year after his death. 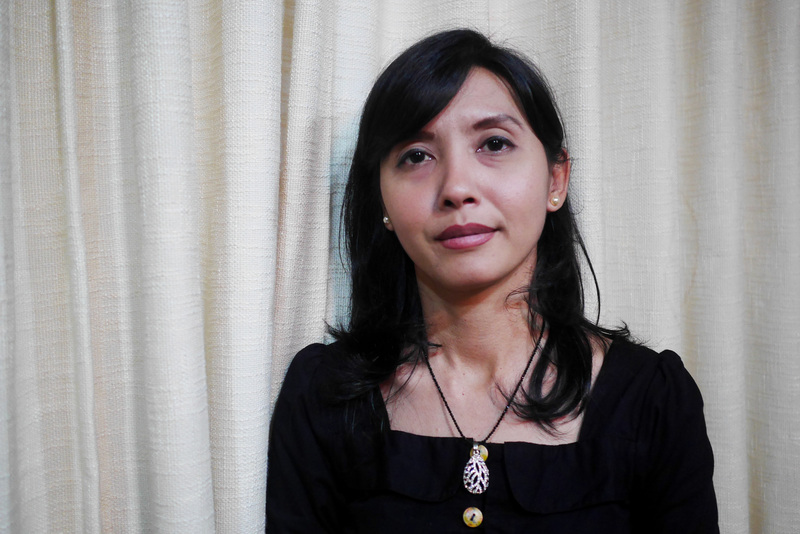 The trial has been ongoing for 10 months for Kyi Lin and three other suspects accused of involvement in the assassination. However, former lieutenant colonel Aung Win Khaing, who is also on the police’s wanted list as a main conspirator behind the assassination, is still at large. Police told a Yangon court in June that they had no new leads in locating the fugitive. The court has finished examining nearly all of the 80 witnesses to date. U Ko Ni’s colleague U Khin Maung Htay and his close friend U Nay La are the two lawyers who are trying to get justice for his assassination. U Nay La had known U Ko Ni since 1973 when they were both law students at Yangon University. 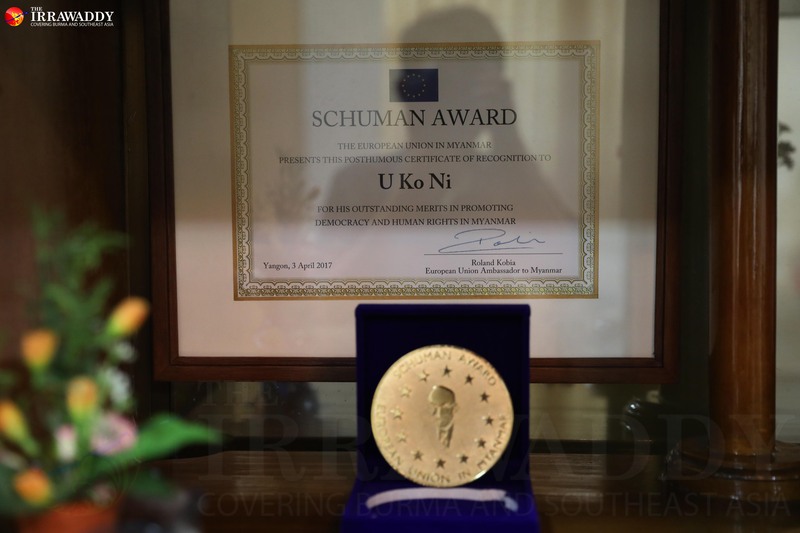 U Ko Ni graduated from the university two years earlier than him but both did their internships at the office of acclaimed lawyer U Ko Yu. After their internships, they taught private law classes together for about three years while struggling to start their careers. While U Ko Ni continued teaching for many more years, U Nay La quit in 1982 and focused on handling lawsuits. They sometimes coincidently had to work on the same case representing different sides in court, but they remained good friends outside of the courtroom. “Though we keenly confronted each other inside the courtroom for our respective clients, we never discussed our suits outside,” U Nay La said. They stayed connected throughout their careers. As per NLD leader Daw Aung San Suu Kyi’s instruction, the two helped establish the Independent Lawyers’ Association of Myanmar, aiming for judicial reform in the country. “I never thought I’d be working on my friend’s murder case,” U Nay La said. “If he were still alive, I believe, he would not be satisfied with what I have done in his case,” U Nay La said. If U Ko Ni’s death impacted many people, there is no exception to his colleague U Khin Maung Htay. He attended U Ko Ni’s law class after he was released from prison in 1977. Since becoming a lawyer in 1980, he said, U Ko Ni helped shape his career as a mentor. In 1995, the two cofounded Laurel Law Firm with another senior lawyer and collaborated on many suits since. “Losing him was like losing a big brother who always had my back. I will never get his help again,” he said, adding that he misses U Ko Ni terribly whenever he faces difficulty working on suits. U Ko Ni managed to succeed in his law career despite the discrimination he faced just for being a Muslim, U Nay La said. “Our struggles were nothing compared to his even though we both were poor when we were in university,” he explained. Even though Buddhist nationalists always singled out his faith to attack him, U Ko Ni was a very liberal-minded Muslim who regarded himself as a Myanmar citizen. “He always encouraged people to keep a ‘Myanmar citizen’ attitude regardless of their different ethnic backgrounds,” U Khin Maung Htay recalled. Growing up, Ma Yin Nwe Khaing never heard her father blame a different faith or religion. He taught his children to respect every religion and that the fundamentals of every religion are the same, she said. “If someone is not a good person, it is not about his or her faith but merely about the person,” she said was what her father used to teach his children. When asked what kind of result she expects from her father’s murder trial, she responded immediately that she wants “law enforcement,” which her father constantly talked about until his death. “Law must be enforced. It is important not only for me but also for our country,” she said.